« South Yorkshire’s Orchards as a Visitor Destination? 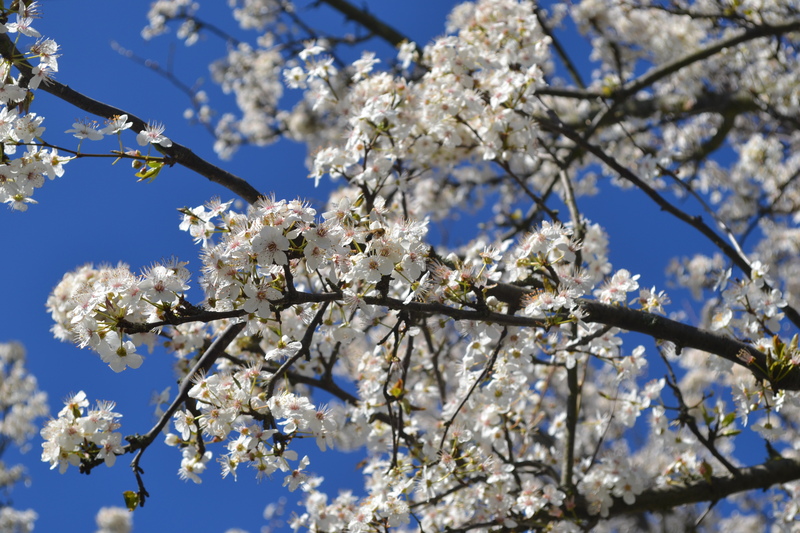 I always look forward to the myrobalan blossom (cherry plum) as the herald of spring and a promise of warmer days soon to come. 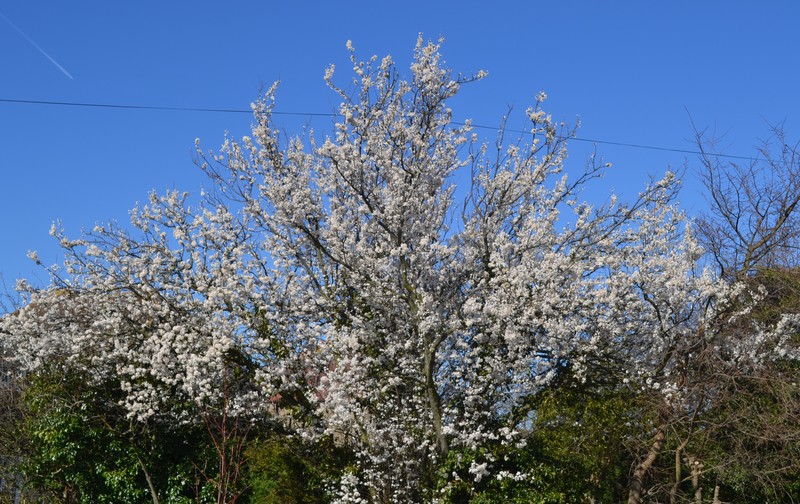 However, despite the mild weather and high temperatures for this time of year, the first myrobalan blossom in local gardens this year only appeared on 26 February. This is relatively late for us here on the North Kent coast; the earliest I have known it was in 2008, when the myrobalans opened on 28 January. Last week the blossom was suddenly buzzing with insects (mainly honey bees, bumble bees and flies but also a solitary butterfly – small tortoiseshell?) feeding in the sunshine.